The 2018 Accra Basketball League (ABL) returned last week with a bang as exciting games littered the latest round in the season following a near month break in the schedule. League games were scheduled to return on August 23 to allow players feature in Ghana's Sports Festival at the Robert Mensah Stadium in Cape-Coast but a late postponement of the event meant bringing the recommencement date forward. Fans were treated to a series of good games in the Men's Division I and Women's Division with Reformers of Prisons coming back from an equally long absence to clinch a 50-40 win over Tudu Galaxy in the Women's Division. Ghana Fire Service continued its fine form after clinching a 46-32 win over defending league champions Braves of Customs to beat Dunk Club 56-27. The result moved Dunk back to the standings basement despite Galaxy's loss. In the Male Division, Fire Service clinched a 55-48 win over Navy Warriors before Adenta Leopards ensured DC Dynamics remain winless after 13 games due to a 61-51 win over the latter. 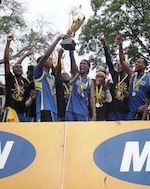 Braves beat Tudu Magic 77-45 and Ghana Police Service beat bitter rival Reformers of Prisons 75-59. 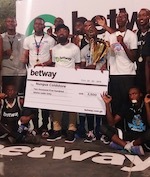 Police Guard Benjamin Debrah returned from Benin in time to feature in the win; Debrah was part of Ghana's team at the recent FIBA 3X3 Zone 3 Championship where the nation missed out on qualifying to the main competition slated for November 9-11 in Lome, Togo.